Tickets will remain on sale until April 30th. 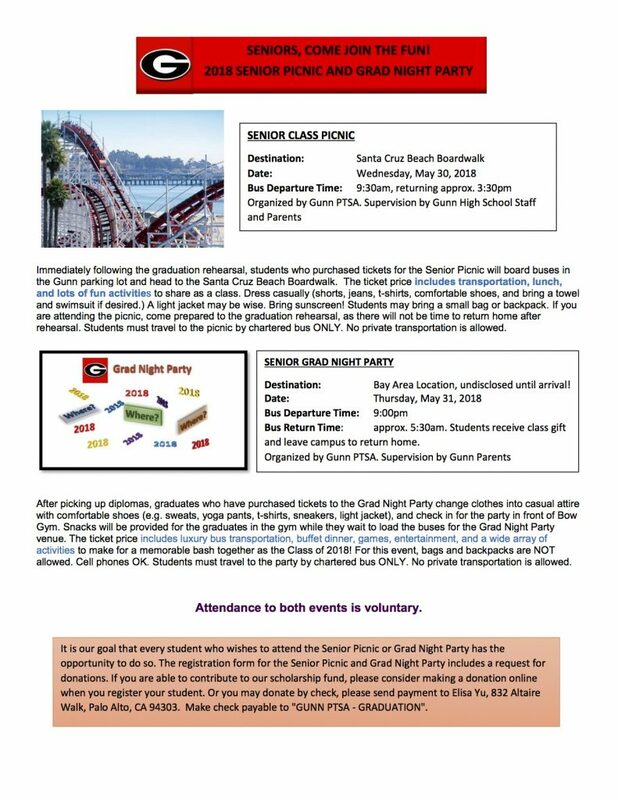 The Senior Picnic will be held on May 30th at the Santa Cruz Beach Boardwalk. The Grad Night Party will be held on May 31st, at a location to remain undisclosed until arrival at the venue. Attendance is optional, but we hope that all seniors will participate! Donations to our scholarship fund are still being accepted and are very much appreciated.